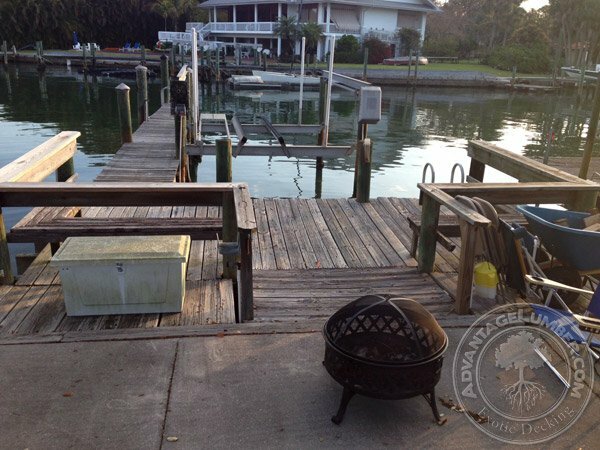 What’s The Best Wood for Boat Docks? If you are looking to build or rebuild a boat dock you want the most durable wood that will last a lifetime with very little maintenance. A boat dock see’s some incredibly harsh conditions since they are so close to the water they are typically getting abuse from waves and are often constantly saturated with water. 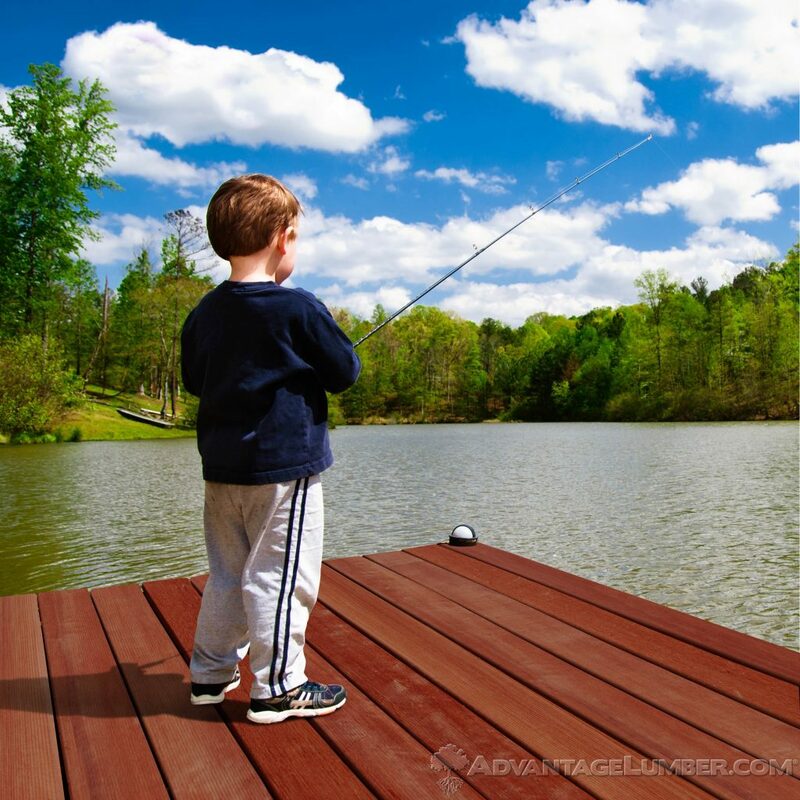 Constant moisture is an enemy for all boat dock materials whether they are wood or composite. In fact constant moisture can lead to faster rot and decay, mold and mildew and leave you with excessive maintenance. 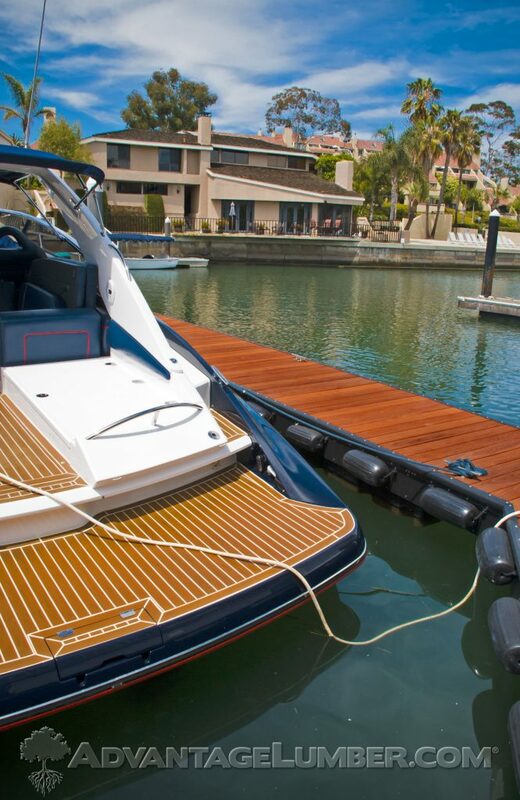 Pressure treated pine is the most common and affordable type of wood commonly used for boat docks. The pros of using this material is the initial cost is the cheapest compared to other options. This material should last you 20 years or more with annual maintenance. The cons are the annual maintenance that will be required. A Pressure treated pine boat dock will need to be sealed every year or every other year with a water sealer to keep the water from saturating the wood. If this is not done it will lead to early rot and decay of your boat dock since pine is a soft wood. Soft woods are more prone to rot and decay, insect attack as well as mold, algae and fungi growth. 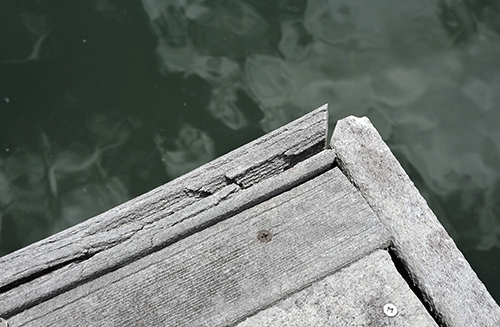 Pressure treated pine is also known to splinter overtime which can be bad for a boat dock if you are using your dock with bare feet. Many boat docks also serve as a swim platform with a ladder built on. The pressure treated pine boat dock above has weathered severely. Additionally the wood has splinters all over and is rotted in parts that had seen more water. Another softwood option is Cedar which is considered an upgrade compared to treated pine. 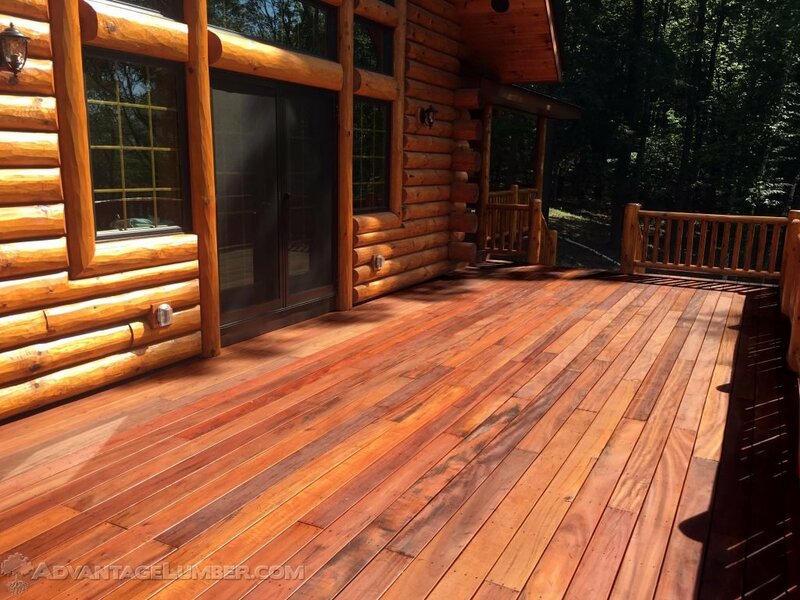 Although Cedar is known to have some natural rot resistance but it still requires a water sealer applied every year or every other year to keep the water from rotting the wood. In the picture above you can see it still splinters and will rot which is why the deck board above is being replaced. The waterproofing sealer will eventually flake off as seen in this photo. Requires annual maintenance with a waterproofing sealer that will eventually peal off. 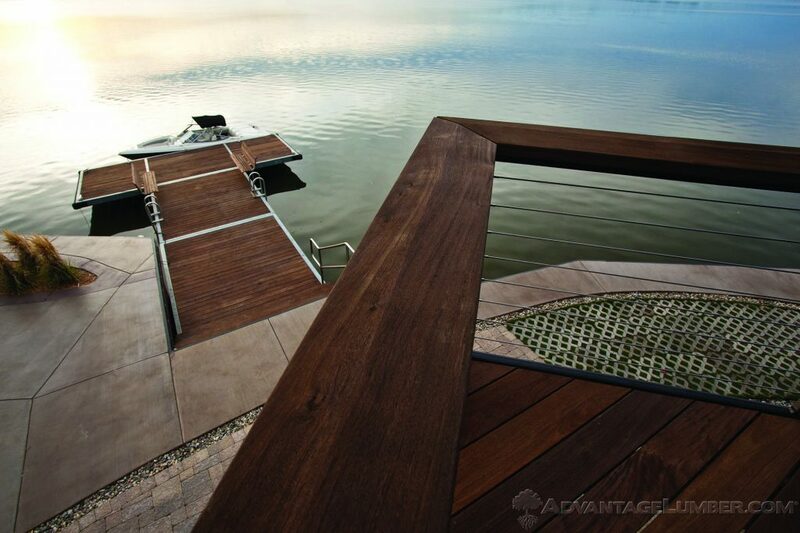 Composite deck and dock materials have built a notion that it is maintenance free. 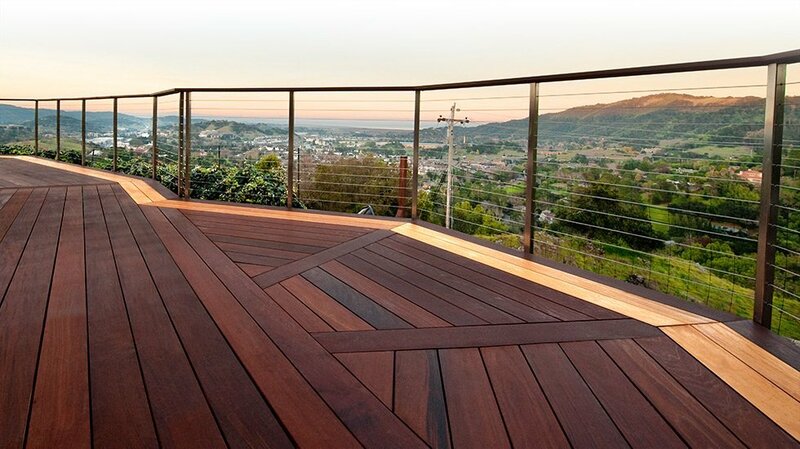 For years composite decking manufacturers advertised their products as maintenance free. Eventually there were some class action lawsuits that followed once homeowners found that these products were not maintenance free. The truth is there is no such thing as maintenance free especially outdoors. Even inside you don’t have maintenance free kitchen floors so you should stop thinking maintenance free and realize that everything will require some maintenance. On top of that some of these man made composites have held up well and some have completely crumbled causing more class action lawsuits for these decking products. 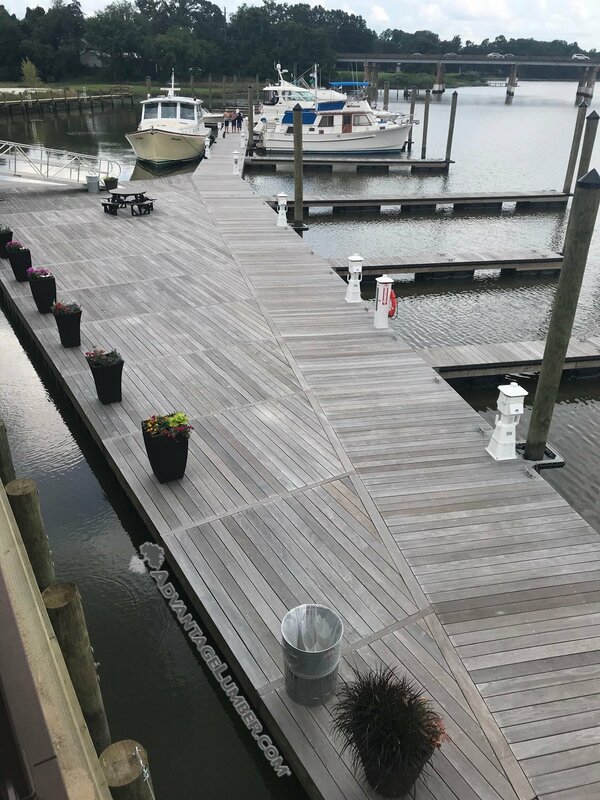 In the picture above the boat dock was built with a composite decking material. It has mold growing on the surface, the surface has been wearing off and is badly pitting which leads to more mold growth. The outer skirting board is also badly deteriorating and crumbling. If this is the option you are choosing we advise you to do some Google searches for reviews on the brand you are interested in. For example ” Brand Name decking complaints” and “Brand Name decking problems”. If you do your research on Google you will often find if other homeowners have had a lot of issues with those products. There are many South American hardwood products that have proven to last 75+ years with very little maintenance. 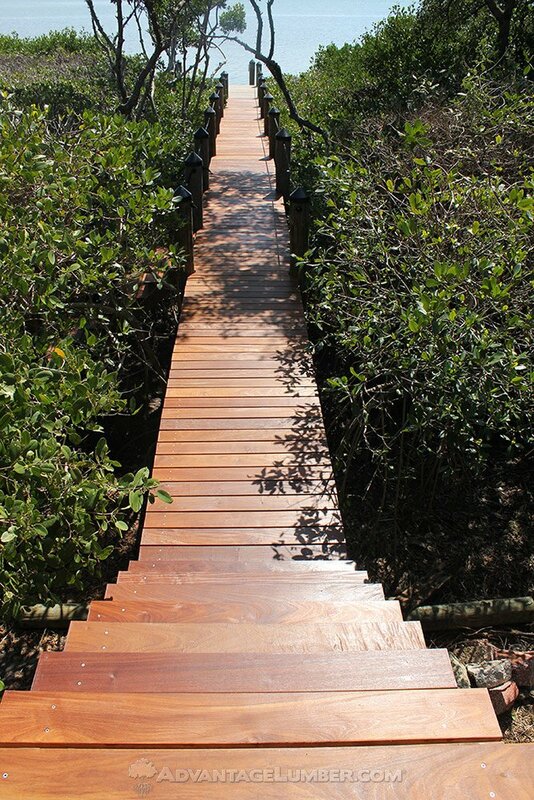 These species we recommend are Ipe, Cumaru, Tigerwood, Massaranduba and Garapa. In addition they do not splinter and are not hot to walk on barefoot. This makes them some of the best choices for boat dock materials. 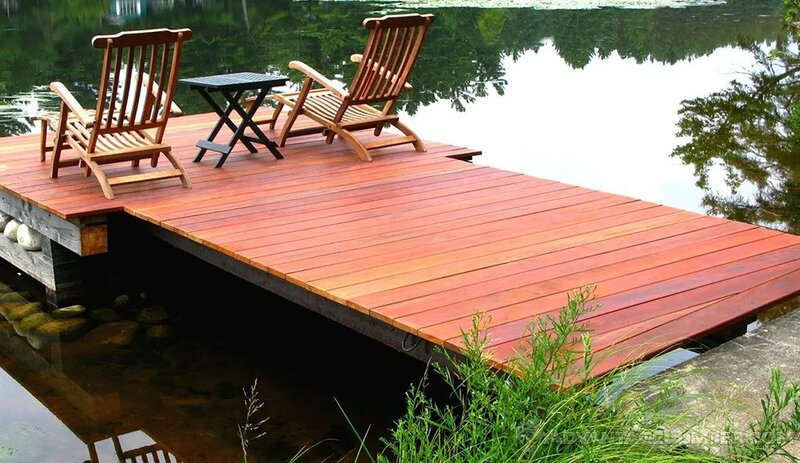 This entry was posted in Boat Docks, Decking and tagged Boat Dock Material, What's The Best Wood for Boat Docks, Wood Boat Docks on April 18, 2019 by theipeguy. 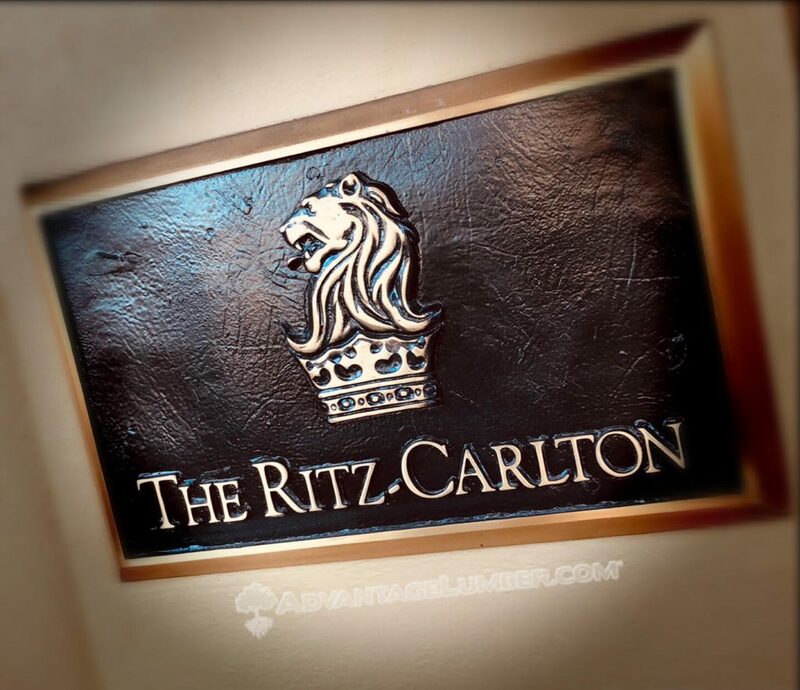 Resorts such as The Ritz Carlton often call us looking for the best wood for their exterior living spaces. 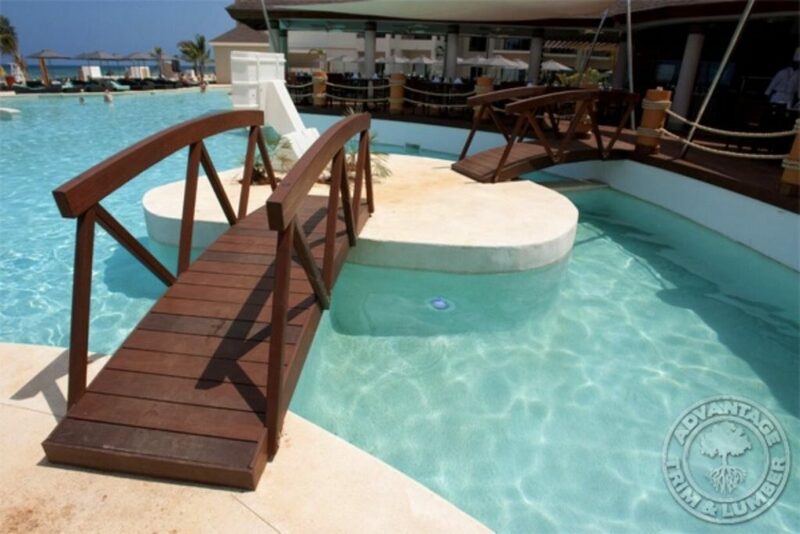 For resorts like this our first recommendation is Ipe wood decking and that what they decided to use. 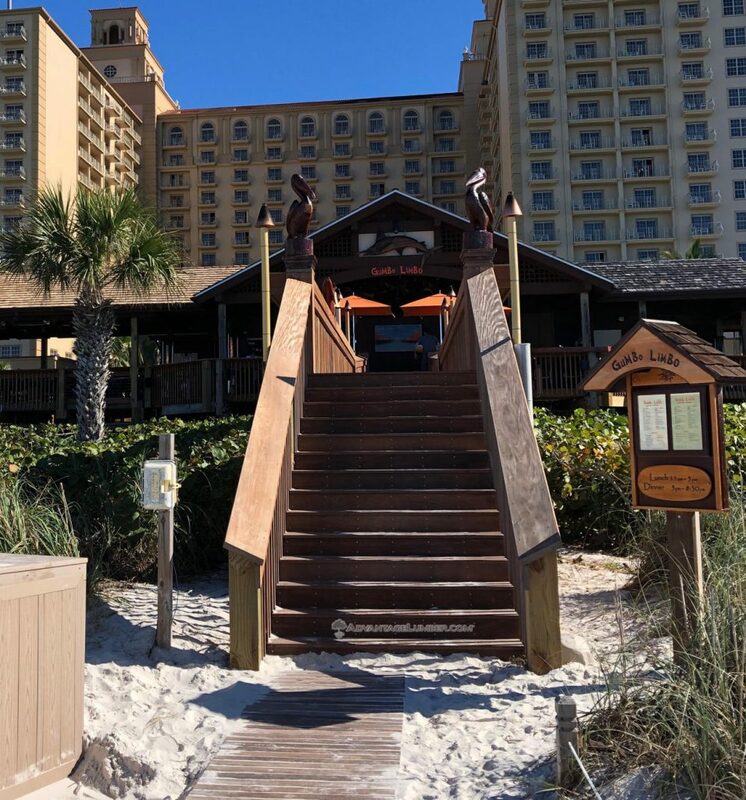 The resort did have pressure treated pine and found that was not holding up in the harsh Florida sun. The grain on the pine would raise and people could trip or get slivers and it was becoming unsightly. 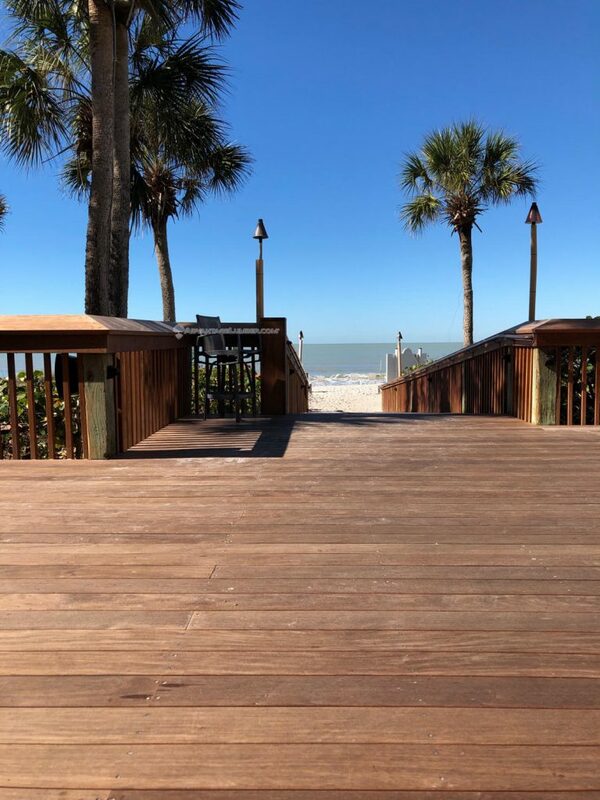 The Ipe wood they ordered from us compliments the beautiful Oceanfront views and will allow their patrons years of exterior beauty and enjoyment without the maintenance issues they experienced with the pressure treated pine. 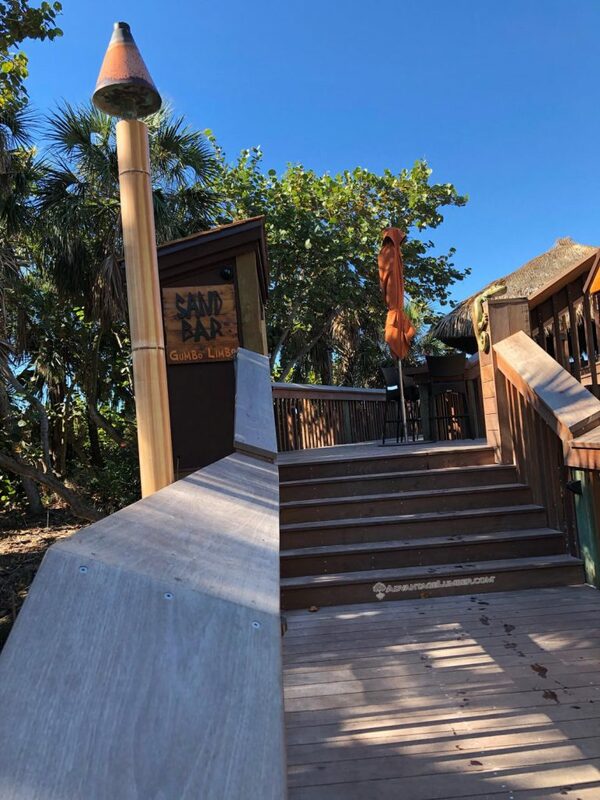 Stop by and check out their lovely restaurant while enjoying the Oceanfront views they have an awesome Sunday brunch a swanky pool area, beautiful beach and now lots of beautiful Advantage Ipe Decking. 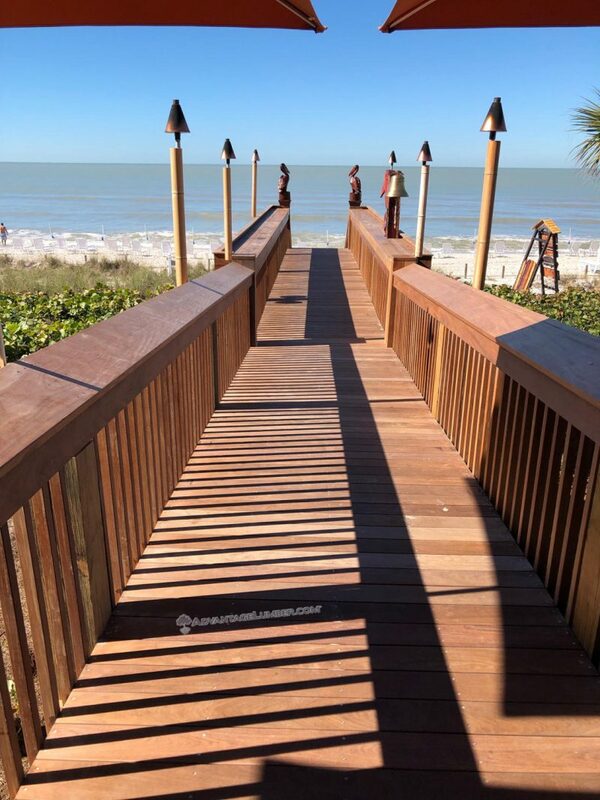 This entry was posted in Brazilian Walnut, Decking, Ipe Decking and tagged Ipe Wood, Ipe Wood Florida, Ipe Wood Resort, Ritz Carlton on January 10, 2019 by theipeguy. 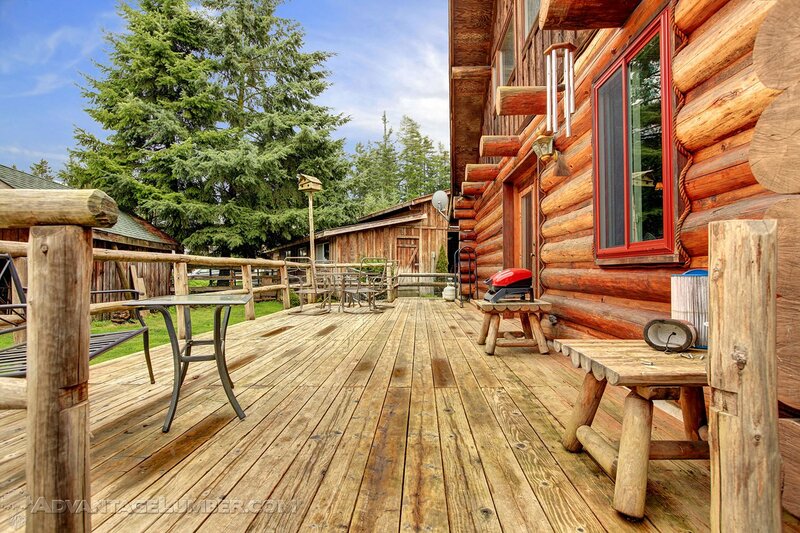 What’s The Best Decking for a Log Cabin? Log cabin porches and decks receive some severe wear and tear and can require more maintenance than the actual log cabin itself. The most important choice you can make for your porch or deck for your log cabin is the decking material itself. There are many options nowadays and there are pros and cons to all the choices. The first issue with a horizontal surface such as a porch or deck receives a fair amount of foot traffic which will add to the wear and tear. The second is mother nature and depending on where your log cabin is located you can have snow, rain, hail, freezing rain, and extremely hot summers. Rain, snow and ice laying on your deck or porch will accumulate more on horizontal surfaces and will take much longer to dry opposed to your log walls which the rain runs down and dries very fast in comparison. Many log cabins have covered porches and are tucked in the woods so they have many shaded areas that will eventually lead to algae growth (yes even on composite materials). 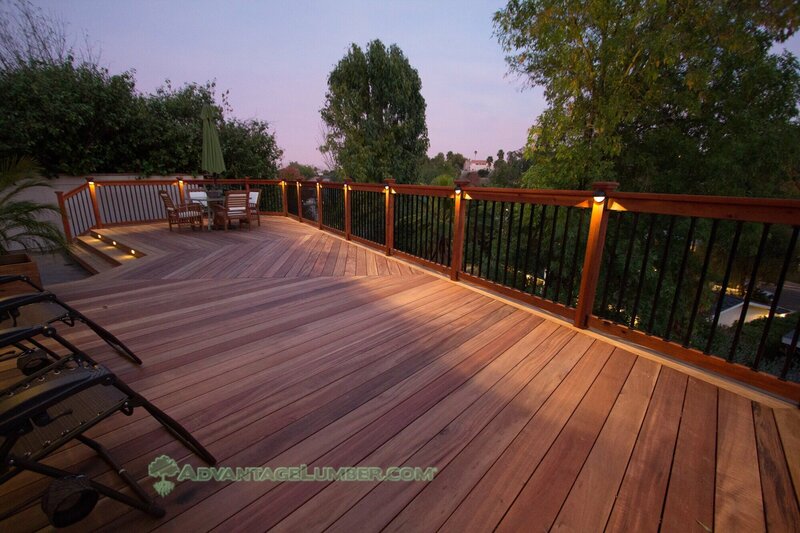 Pressure treated pine decking is one of the most abundant and common decking material options. This is mostly due to the cost, pressure treated pine is the cheapest option available. 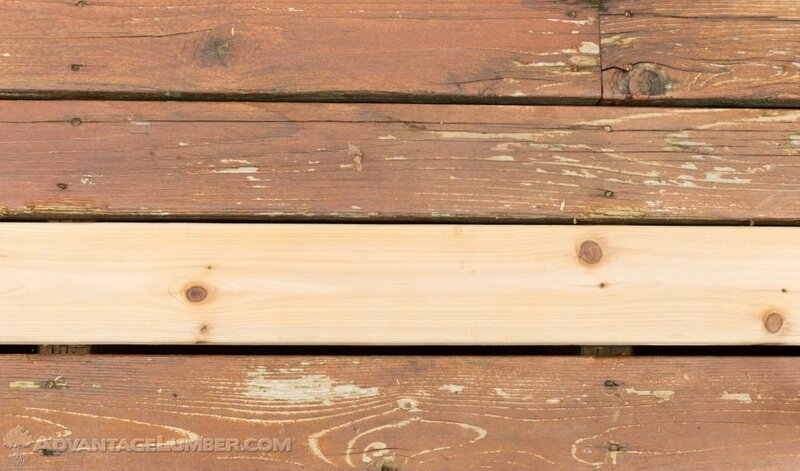 Cedar decking is usually a popular upgrade on a log cabin because cedar is known to have some natural rot resistance. Even though cedar has some resistance to rot it’s still a softwood and therefore does require a water sealer. 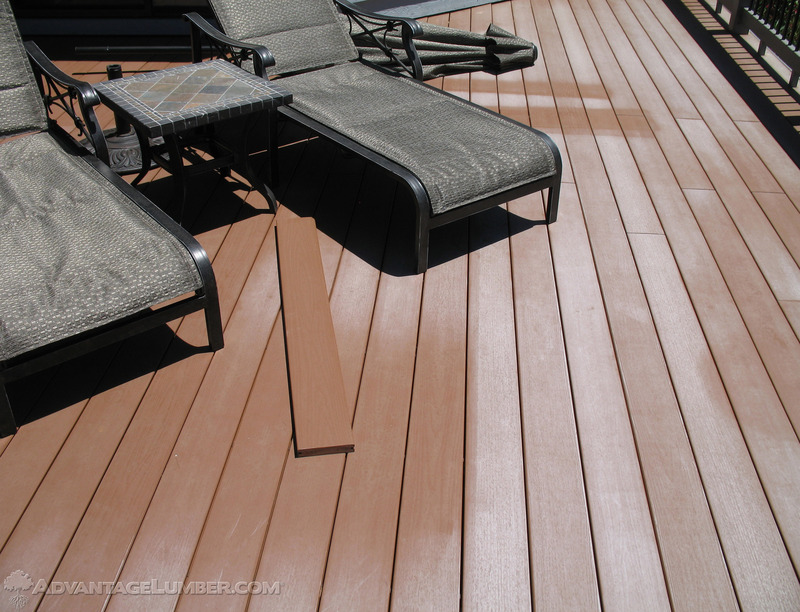 Composite decking materials have become widely known as low or no maintenance decking options that mimic the look of wood. Some home owners have had success while others have had issues with mold, crumbling deck boards and fading to name a few. Many brands have had recalls, class action lawsuits and several have gone out of business leaving home owners stranded with warranty claims. Composites have come a long way so make sure you do plenty of research and look online for reviews for the brand you are interested in before going this route. Many log cabin owners think it does not belong or look as good as real wood. 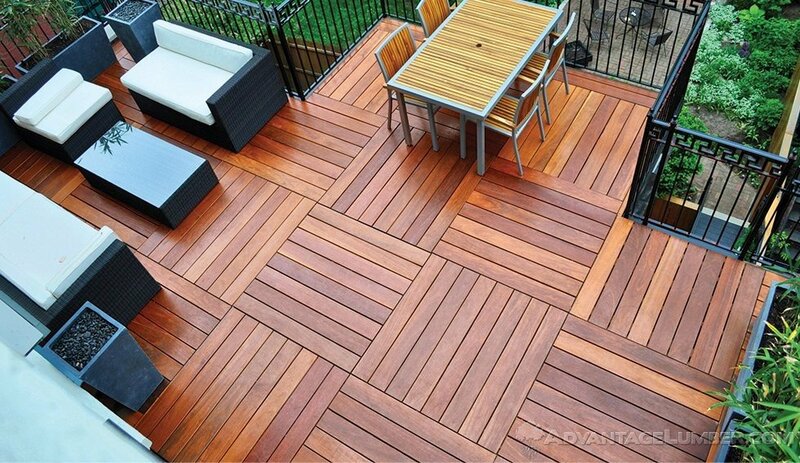 Exotic hardwood decking is some of the hardest wood available and is known to last 75+ years outside with little to no maintenance. It’s been used on many commercial applications like the Coney Island board walk, the Treasure Island boardwalk in Las Vegas and many more. These woods are naturally slip resistant, naturally resistant to wood boring insects, resistant to mold and algae, knot and splinter free and has a Class A rating for flame spread. In addition they are some very beautiful woods that will really compliment your log cabin and give your deck that WOW factor. 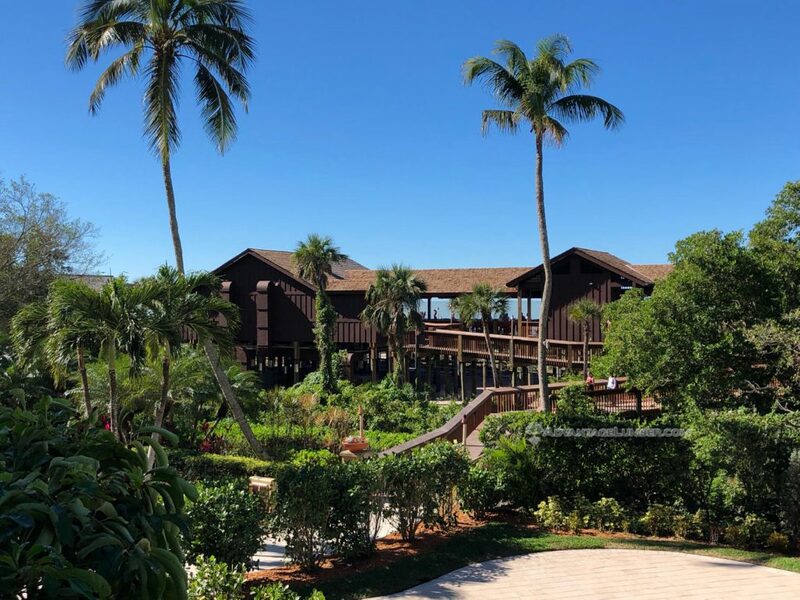 This entry was posted in Decking and tagged best deck log cabin, log cabin deck, log cabin decking options, log cabin porch on December 13, 2018 by theipeguy. 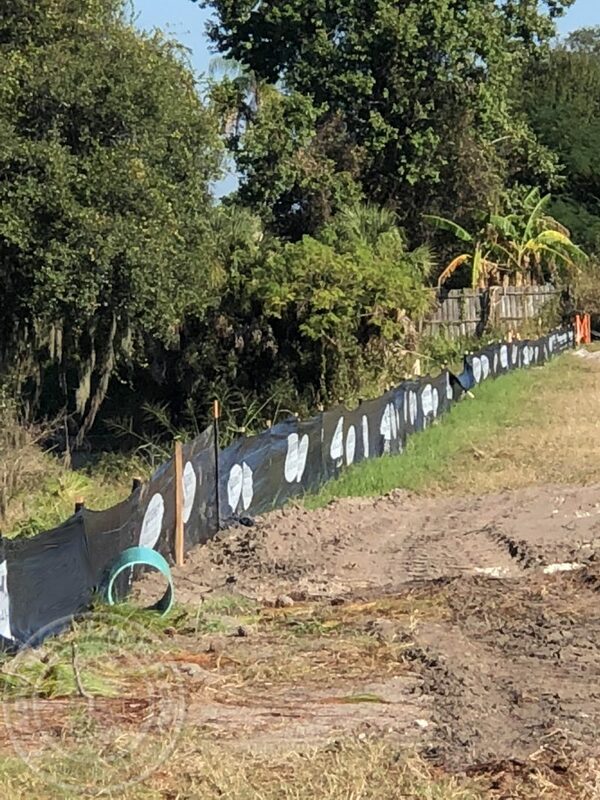 A silt fence is a temporary sediment (loose soil) control fence used primarily on construction sites to protect the water quality in nearby bodies of water such as lakes, rivers, streams, ponds and oceans. 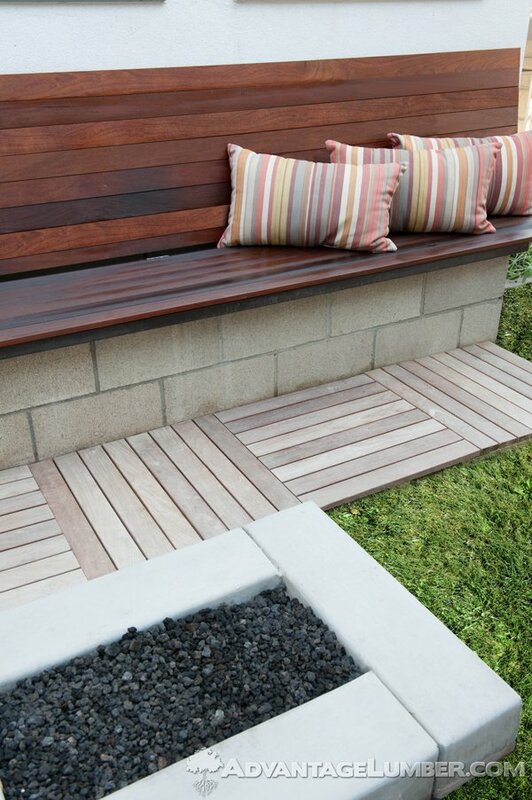 They are most commonly constructed of a geotextile fabric with embedded wood stakes spaced every couple feet. The wood stakes are commonly made from lower grades of domestic lumber that do not meet the strict grades for cabinet grade lumber. Some manufacturers of silt fences have reached out to us in search for a strong wood that can withstand tough soil conditions. Soil that contains a lot of clay or rocks will often snap the standard wood stakes that you standard silt fences are constructed with. 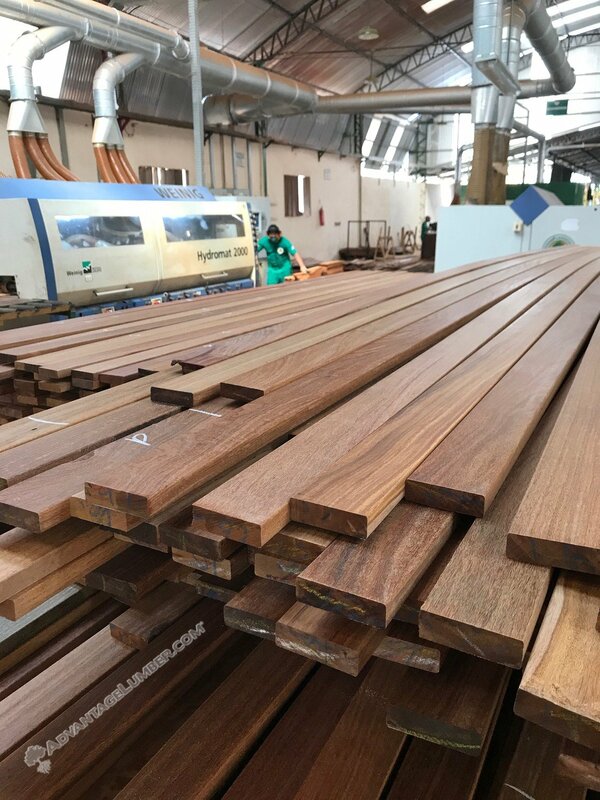 We have supplied silt fence stakes made from sustainable South American hardwoods to a silt fence manufacturer who was in search of stronger wood stakes. South American hardwood stakes do not contain any chemicals, are naturally rot resistant and up to 3 times harder than oak which make them the perfect choice for a silt fence stake that is intended to keep our water ways clean. In addition sometimes a “super” silt fence is required by agencies such as the EPA on certain projects. 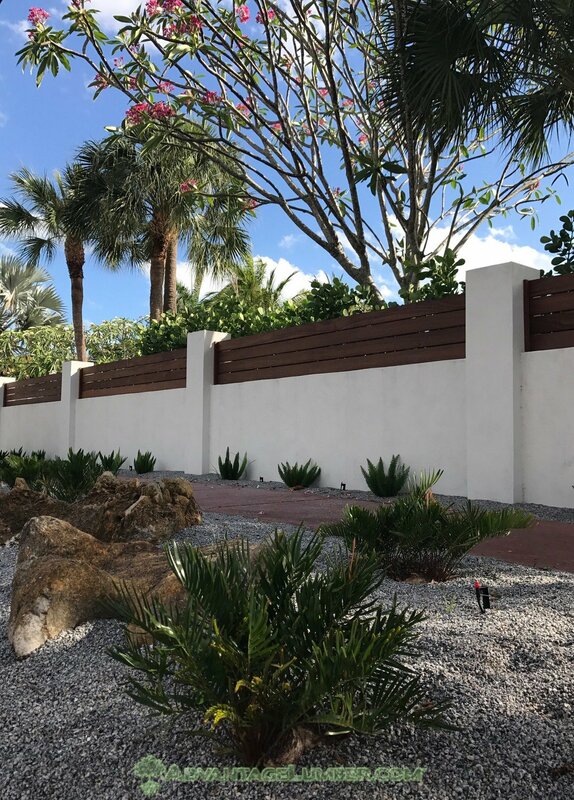 Super silt fences are commonly constructed with a chain link fence embedded into the ground and a standard silt fence placed in front of the chain link fence to control the sediment run off. This method makes a much stronger silt fence but is much more labor intensive and more costly. Some manufacturers are testing our South American hardwood stakes to make a “super” silt fence that does not require the added chain link fencing. The chain link adds extra strength to the silt fence. 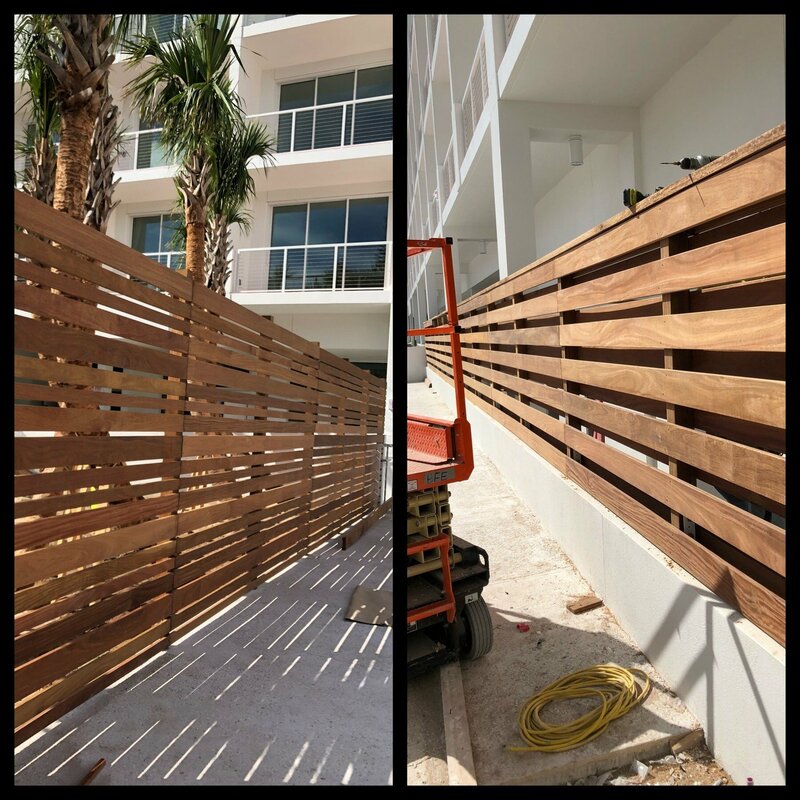 Since our hardwoods are 3 times harder than oak a super silt fence made with our hardwoods may not require the added labor and costs of the chain link method. For more info and pricing got to our Hardwood Stakes page. This entry was posted in Exotic Hardwood, Green Building and tagged silt fence stakes, super silt fence on November 7, 2018 by theipeguy. Architectural projects around the world have embraced modern design in recent years. This style favors minimalism and rejects ornamentation, resulting in a look that is both pleasing to the eye and easy to implement—an important consideration in regions experiencing skilled labor shortages. Not all wood is created equal. 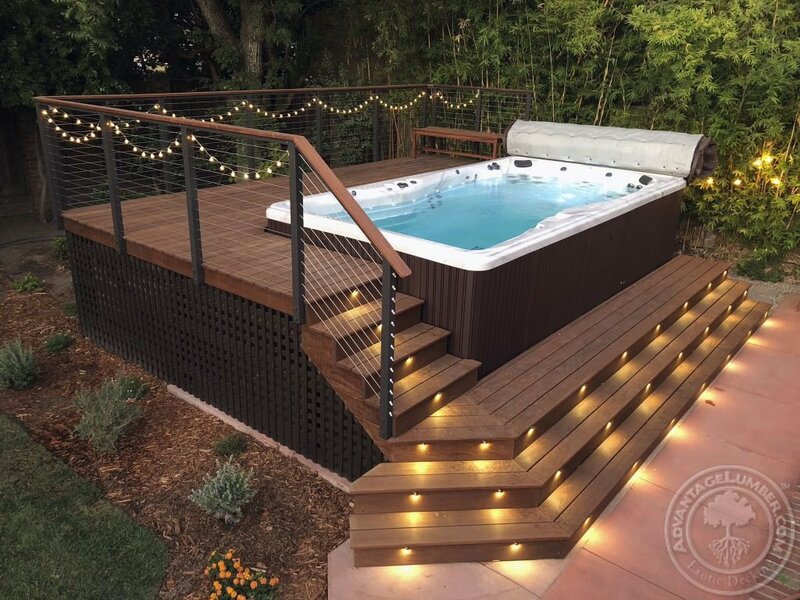 The exotic “super woods” produced under the Advantage Decking® brand rise to the top when it comes to weatherability, flame spread testing, and strength. 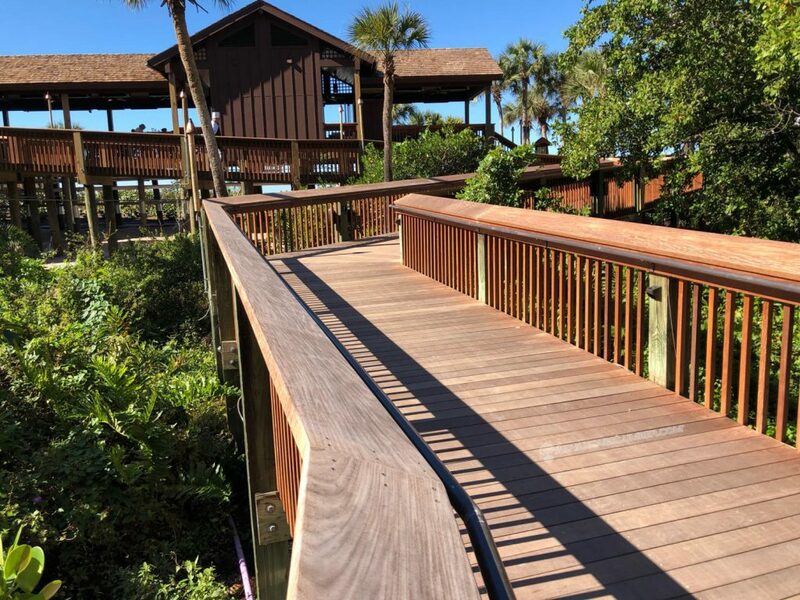 Through proper forest management and adherence to the strictest environmental laws, Advantage Decking® boards are also a truly renewable resource. In an area the size of a soccer field, only 1–3 trees are harvested, ensuring the forest remains healthy and flourishing. 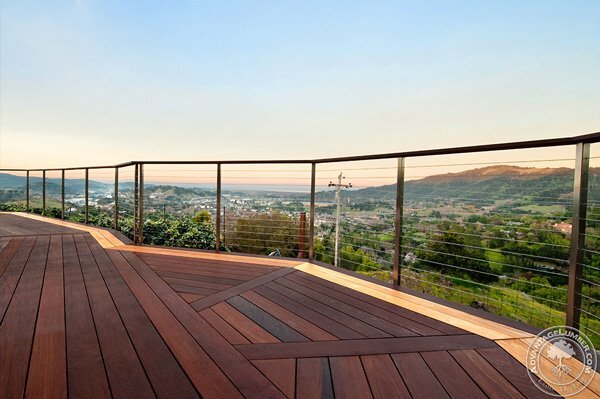 The most popular Advantage Decking® species are Ipe (Brazilian Walnut), Tigerwood (Brazilian Koa), Cumaru (Brazilian Teak), Garapa, Jatoba (Brazilian Cherry), and Massaranduba (Brazilian Redwood). Choosing between species often comes down to desired colors and project budget; costs between species can vary as much as 50%. Whether the project is commercial or residential, modern designs favor the use of narrow boards to achieve a sleek look. This is a win-win for the modern design client, since narrow boards are a plentiful byproduct of sawmill operations, and thus are less expensive. The other benefit to narrow boards is greater stability. All fine craftsman know the basic woodworking concept that the wider the board, the more it moves. 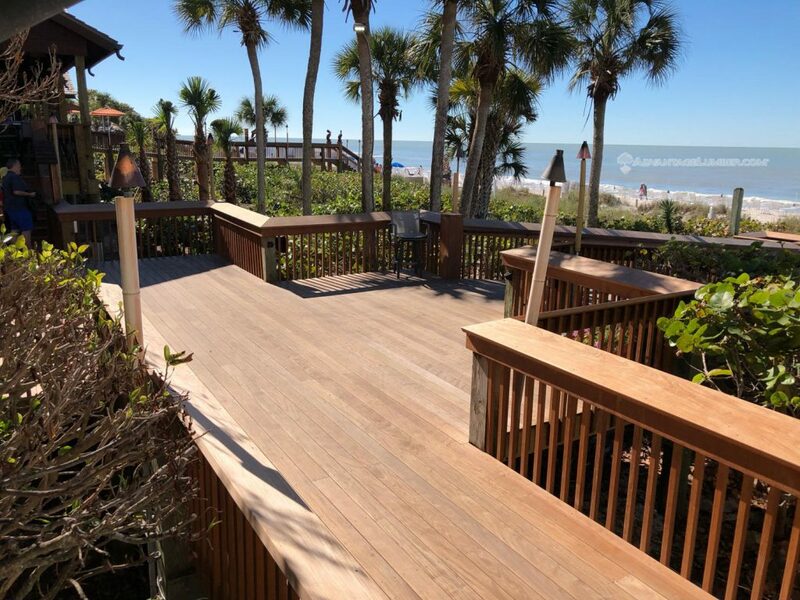 Since decks are often subjected to the harshest elements, narrow boards go a long way toward maintaining a flat surface that resists the cupping and twisting seen with wider boards. 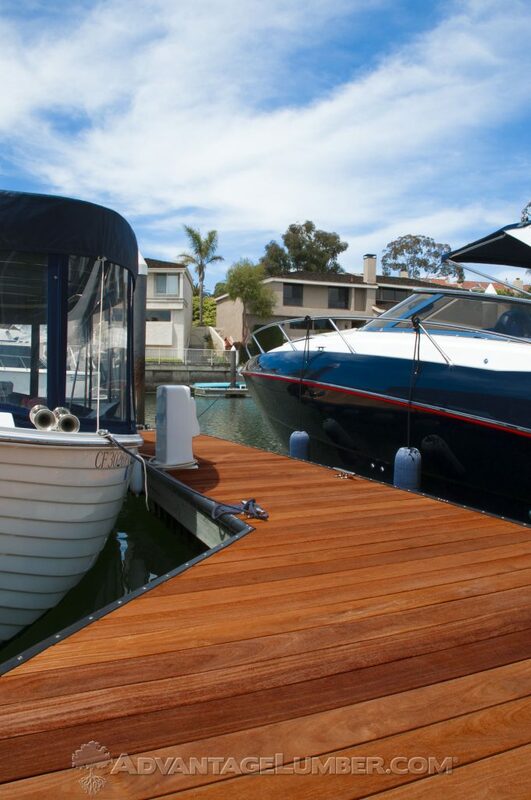 This modern marina uses wide Ipe deck boards. The borders and angles break up the space in a manner consistent with modern design, while simultaneously allowing the dock to fit perfectly in the space allotted. The Ipe was allowed to weather without any oil treatment, resulting in the “silver teak patina” you see below. Applying a coat of Ipe Oil® will restore and preserve the color if desired. Keeping it short! These are 6-foot Cumaru deck boards. The short lengths allow for this modern, perpendicular pattern, but they also save money. Short boards, like narrow boards, are abundant in sawmills and therefore cheaper. So far we’ve seen modern designers go the narrow route, and we’ve seen them go short. What if you combine them? 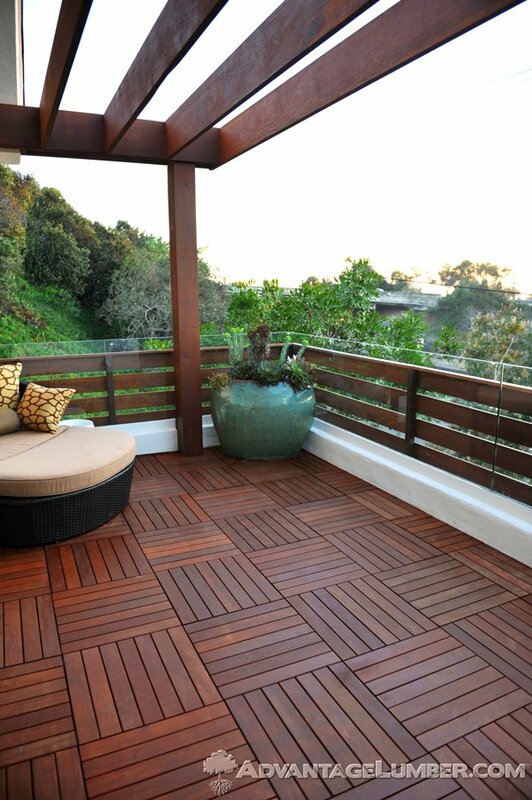 Advantage deck tiles do just that, and it’s proved to be a very popular option. 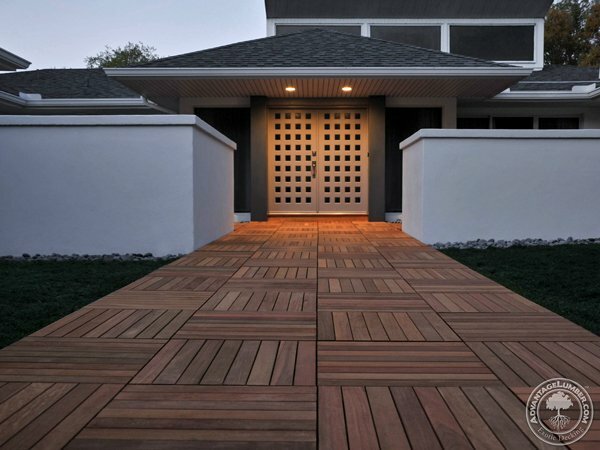 Deck tiles are budget-friendly and they’re the perfect embodiment of the modern style. They come in a variety of sizes (such as 12”x12”, 20”x20”, and 24”x24”) and they come together in a snap. They can cover up an ugly concrete slab or rubber rooftop membrane while allowing water to drain underneath. They can even pop loose for easy under-tile access if necessary. 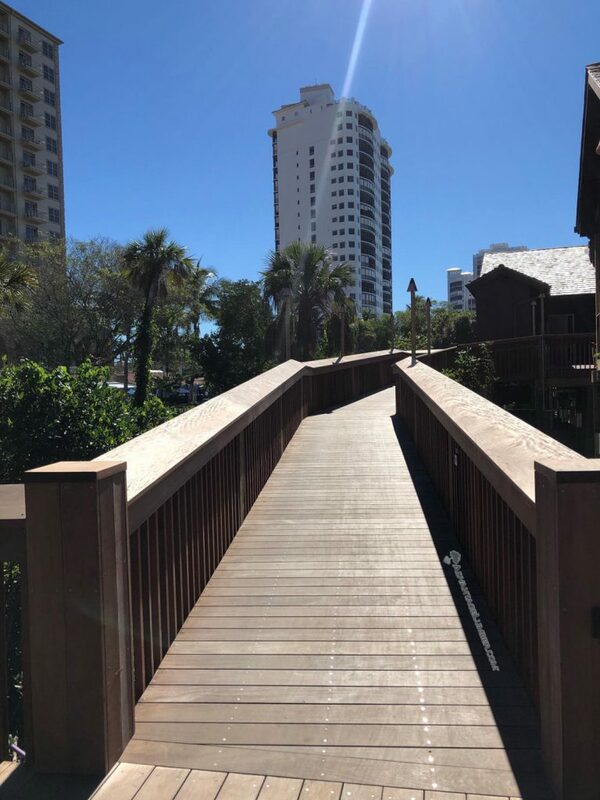 Advantage deck tiles have been used in both commercial and residential projects for decks, rooftops, showers, balconies, porches, walkways, and countless other applications. A cohesive design means choosing your furnishings to match your architecture. 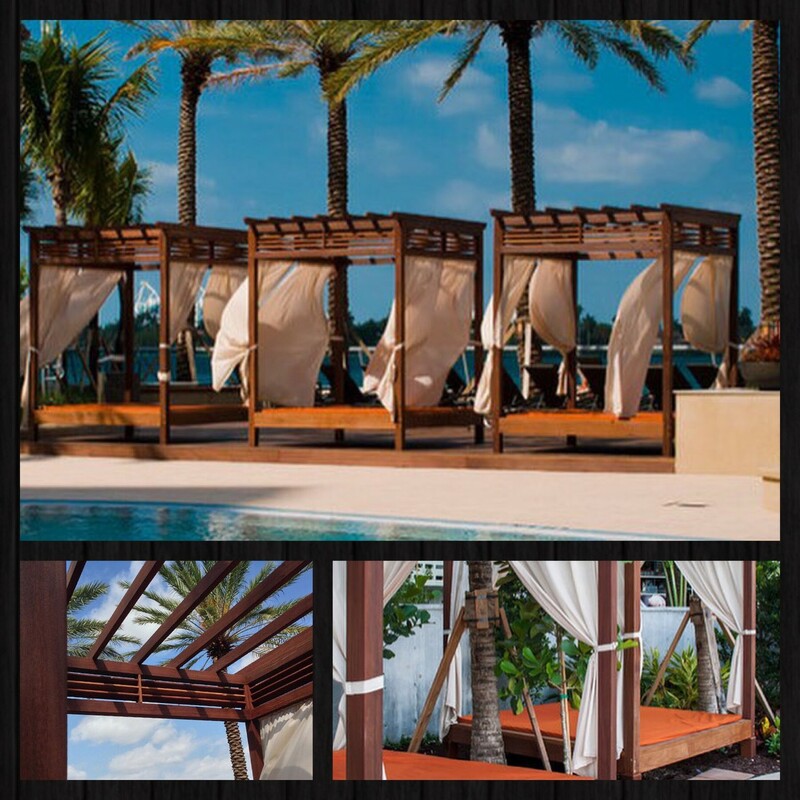 These poolside cabanas were constructed using modern Ipe decking components, such as 4x4s and 2x6s. 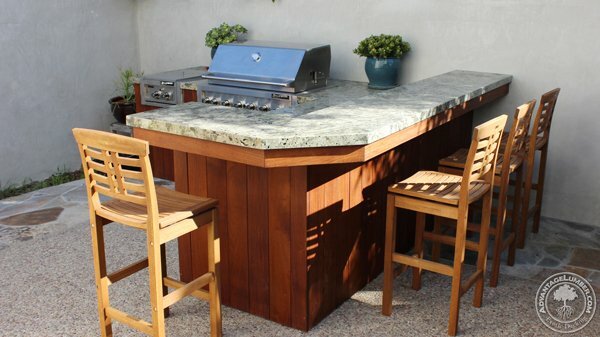 If ever there was a wood created just for the modern aesthetic, it was Tigerwood. Also known as Brazilian Koa, this brown wood is run through with streaks of black. The project below was modernized by combining Tigerwood with metal rail spindles and a chevron pattern. 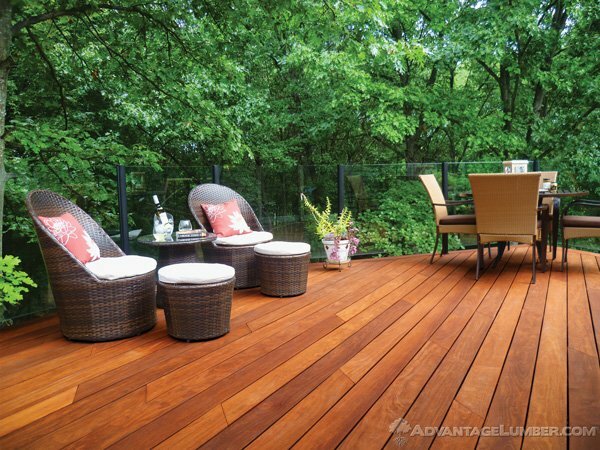 More good news for the wallet: Tigerwood is one of the cheaper hardwoods in the Advantage DeckingⓇ lineup! 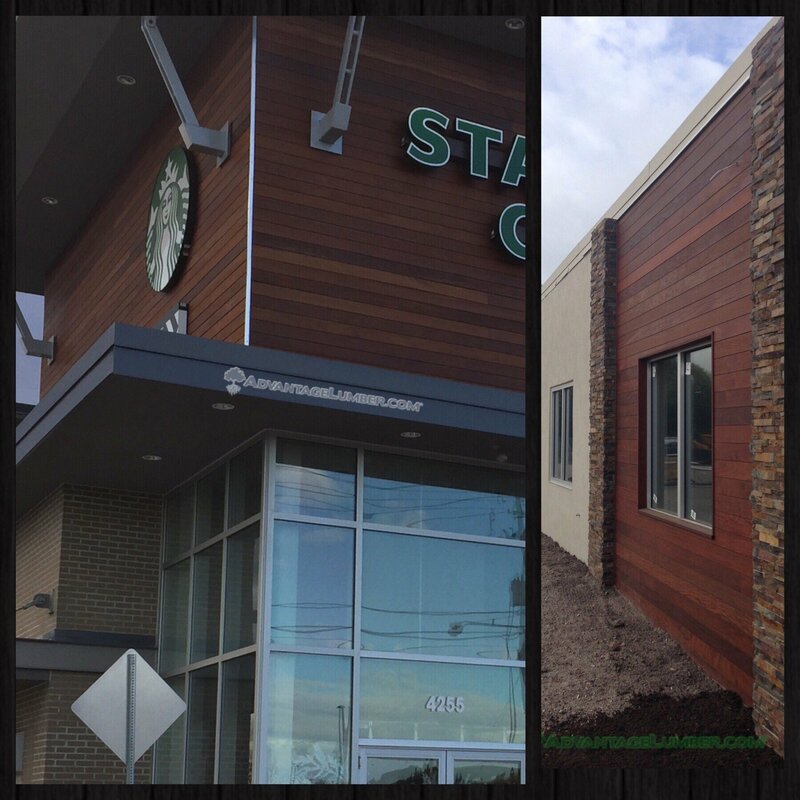 Rainscreen hardwood siding has seen a lot of growth in the market. 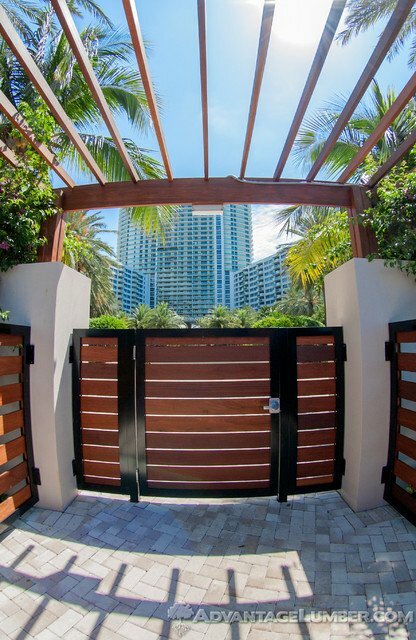 The advent of specialized hidden fasteners designed specifically for Rainscreen profiles has made the installation process much simpler and have helped to popularize the use in both residential and commercial projects. When the exterior is complete, Advantage has many materials to help you carry the modern look to your interior. 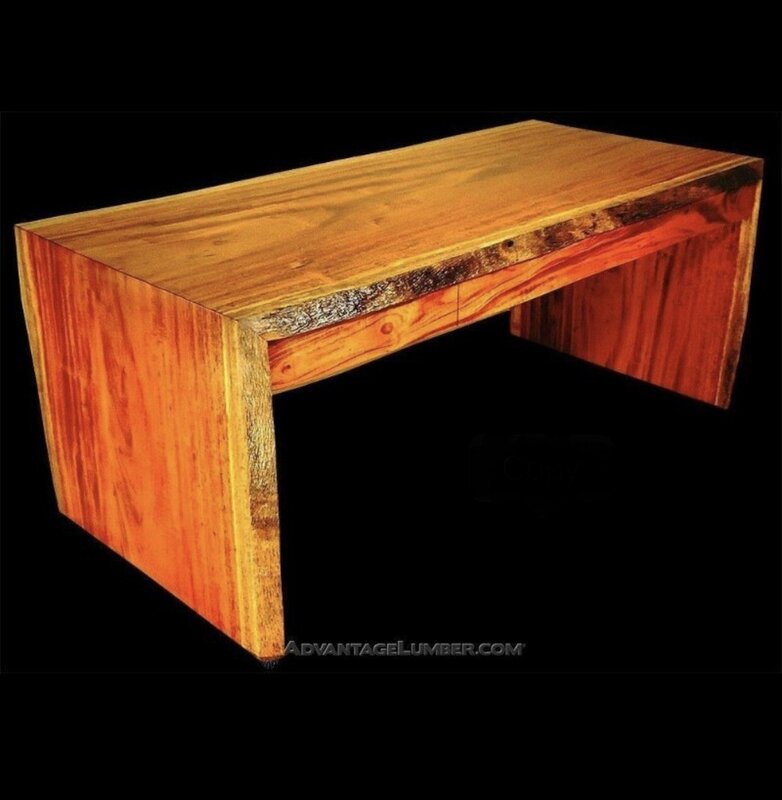 This live-edge desk with “waterfall” ends shows off the wood grain in its simplest, natural form. 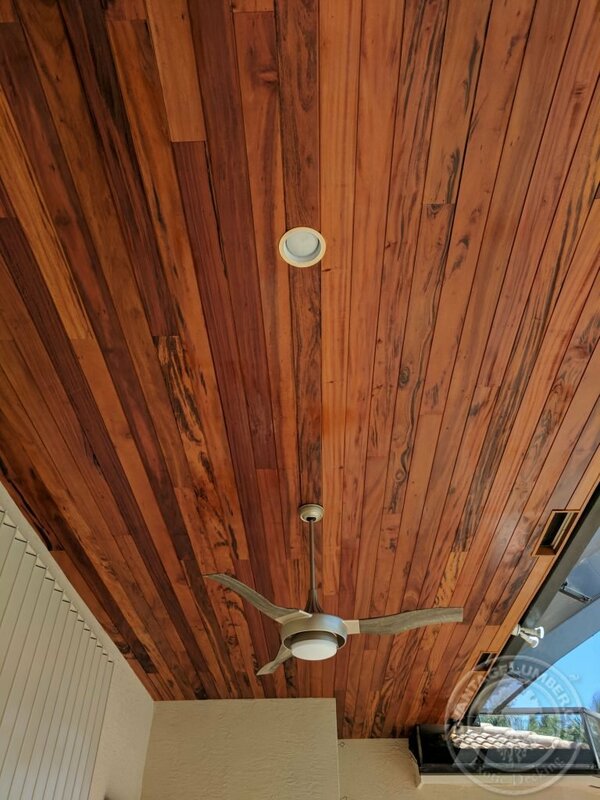 This slab is made from Advantage FSCⓇ Tigerwood, which is also available in decking, siding, soffit, v-groove, or solid T&G flooring components to match. Slabs as art! The Advantage Urban Log Recycling Program produces a wide variety of live-edge wood slabs out of its Florida sawmill. These slabs are used for tables, desks, bar tops, and wall art. Most of the slabs are cut from trees that are storm-damaged, dead, diseased, or invasive. 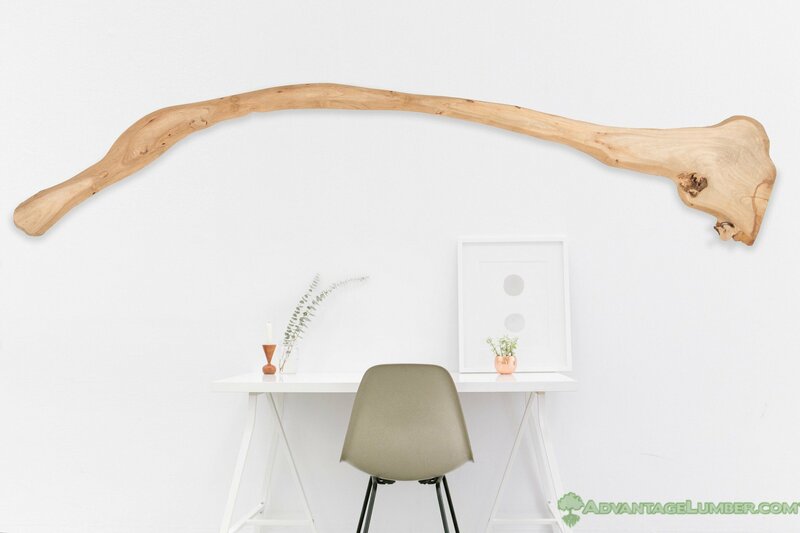 The live-edge wall art below was harvested from an invasive Banyan tree. Invasive species crowd out and kill native species, which has become a serious problem in many communities. Thankfully, this piece will live out a more peaceful existence, admired for its beauty as natural art. Many of these pieces can be found at www.WoodSlabs.com or can be cut to order by calling the Florida sawmill at 941-388-9299. 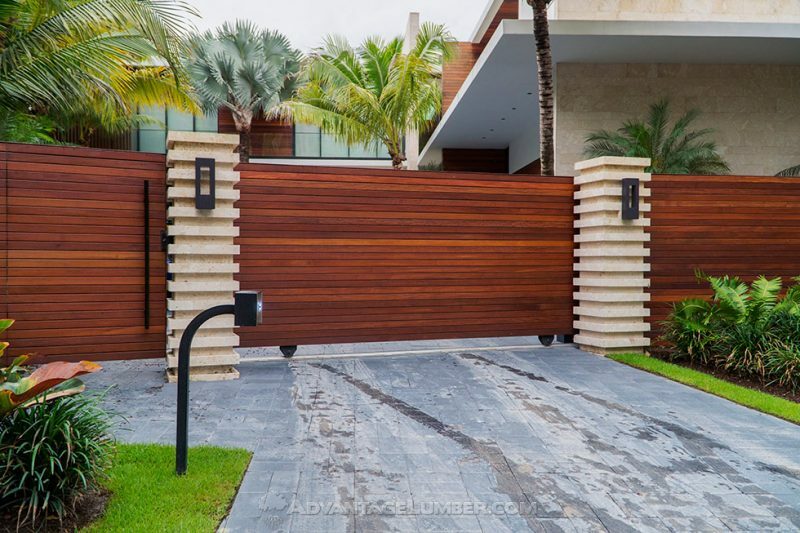 Keeping with the modern theme, AdvantageLumber.com has retooled and modernized it’s factories in both the US and Brazil in order to continue delivering responsibly harvested hardwoods of outstanding quality. 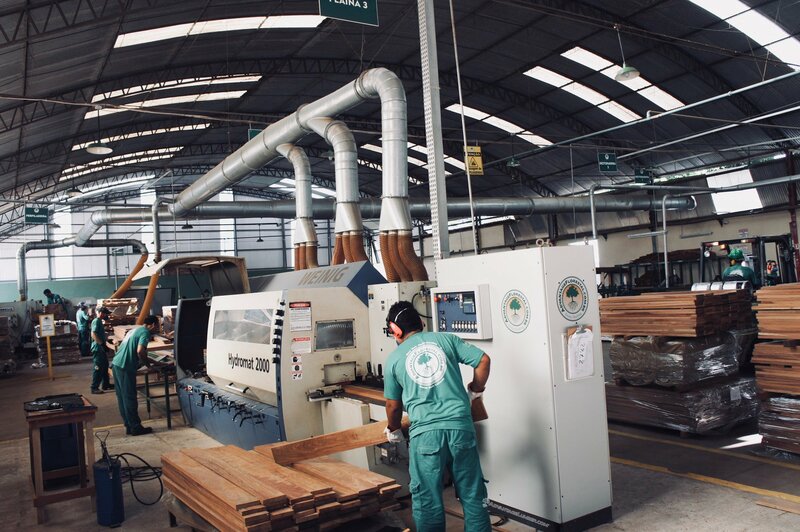 As the only US company to own a decking mill in Brazil, Advantage is the direct source for sustainably produced exotic hardwoods. With proper forest management, facilities at the source, four US mills, and nearly 300 awesome employees, AdvantageLumber.com is an internet leader for hardwoods and ahead of the curve when it comes to responsible harvesting. The Advantage team—and their families—appreciate your purchases and hope to be part of your next awesome project! A board, a bundle, or a truckload shipped direct to your home or jobsite worldwide! This entry was posted in Modern Wood Designs and tagged modern wood, modern wood accents, modern wood designs on October 31, 2018 by theipeguy.